Origami cootie catchers, sometimes referred to as origami fortune tellers, chatterboxes, salt cellars, or whirlybirds, are a popular paper toy for young children. They are easy to make and very versatile. A cootie catcher can be used to give random fortunes, to play truth or dare, or to make a study aid for memorizing dates for a history test. Cootie catchers have been popular paper folding projects in the United States since the 1960s. Like paper airplanes, they are a simple craft that parents enjoy teaching their children. This tutorial demonstrates how to make a simple cootie catcher using one of Origami's free printable origami paper designs. Click here to download and print the cootie catcher paper used in this tutorial, as well as an assortment of other cootie catcher designs found exclusively on About Origami. All of the graphics measure 8 inches x 8 inches, so you will need to print your favorite one on a standard letter sized sheet of printer paper and cut it down to the right size before you begin folding. Fold your paper into a blintz base. This is a common origami base form made by folding the paper along each diagonal, then unfolding and folding each of the corners into the middle crease. When you're finished with this step, your paper should look like the photo to the left. Flip your paper over. Fold the corners into the middle once more. When you're finished, your model should look like the one in the photo to the left. Flip your paper over, so you are looking at the foursquare flaps. Fold in half horizontally, while creasing well. Unfold. Fold in half vertically, creasing well. Unfold. Slip your fingers up under the flaps that have been created. 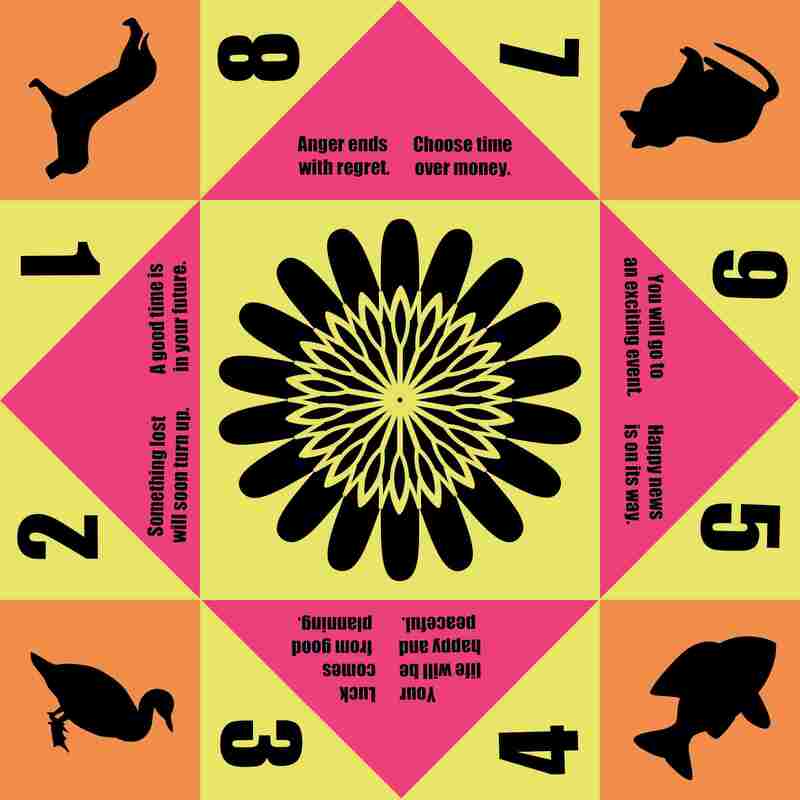 You are now ready to play with your cootie catcher. To play with your cootie catcher, ask your friend to pick one of the four images on the outside. Moving the flaps in and out and from side to side, spell out the name of the item your friend selected. Open the cootie catcher to see the numbers. Ask your friend to pick one. Move the flaps as you count to the number they selected. Ask your friend to pick another number, then move the flaps to count out the number once more. Have your friend pick a third and final number. Lift up the flap to reveal the corresponding message underneath. An upside down cootie catcher folded from patterned origami paper makes a pretty holder for small items on your desk or for candies to be passed out as party favors. In fact, this is the original purpose of this origami design. In 1928, a book called Fun with Paper Folding demonstrated this model under the salt cellar name and suggested it be used to hold spices. A cootie catcher folded from 8-inch x 8-inch origami paper fits nicely inside an origami gift box folded from 12-inch x 12-inch scrapbook paper.